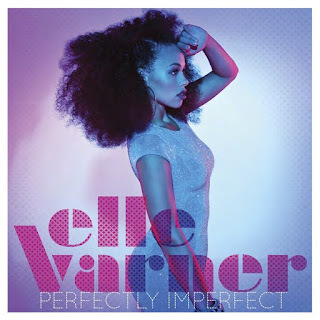 Elle Varner is “So Fly”! Yes, it’s a title of a song on her debut album “Perfectly Imperfect”. This doesn’t sound like a debut album; where the artist is trying to find a sound. Elle comes with a sound that is all her own. The album has a great flow. I loved her music before I even saw her. I love to rock to “I Only Want to Give It to You” featuring J. Cole in the car. Elle sound is so fresh and soulful. She could be the poster child of this website. I love to compare but I don’t really have anyone to compare Elle Varner to. She stands alone. Beauty wise she reminds me of a young Phyllis Hyman with the broad shoulders, big beautiful eyes, and nice lips (Yea, she’s my new celebrity crush). Back to the Music: “Refill” is just as good as the lead single. Combining a hip hop beat with a fiddle. I wouldn’t have thought of combining Groove Theory with the Dixie Chicks but it works! Elle Varner is no powerhouse vocalist (Jennifer Hudson) but the girl can sang! She has a nice raspy yet smooth voice. It’s not a voice that sounds too old for her (She’s only 23) but it’s soulful, and earthy but not heavy. She’s at her best on the slow burner “Not Tonight”. In the song she doubts herself about approaching a guy but vocally she’s confident. Elle easily slips in and out of high notes. You can easily hear that while she’s naturally blessed with a beautiful voice, she has put in the work to master her voice. “Sound Proof Room” is a straight banger’. It starts off hitting hard: with great piano and solid drums. It sounds like it could be a nice Pop record but it doesn't sound forced to be a crossover track. With that said this album is “So Fly” and I LOVE IT! If I rated albums on a star rating system she would get 5 out of 5 stars. I do realize that I named 7 tracks out of 11 but that shows you how great of album this is!